Cute Healthy Preschool Kid Boy Eats Hamburger Sitting In Cafe Outdoors. Happy Child Eating Unhealthy Food In Restaurant. Royalty Free Fotografie A Reklamní Fotografie. Image 65993650. 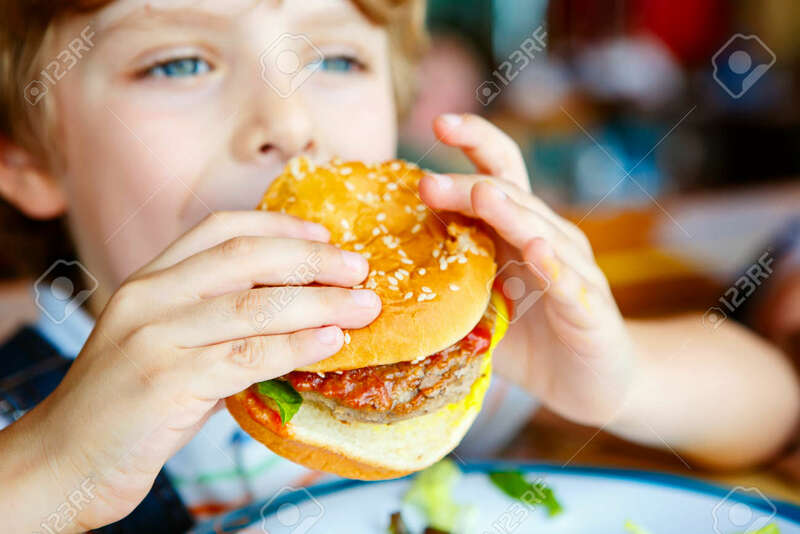 Reklamní fotografie - Cute healthy preschool kid boy eats hamburger sitting in cafe outdoors. Happy child eating unhealthy food in restaurant. Cute healthy preschool kid boy eats hamburger sitting in cafe outdoors. Happy child eating unhealthy food in restaurant.